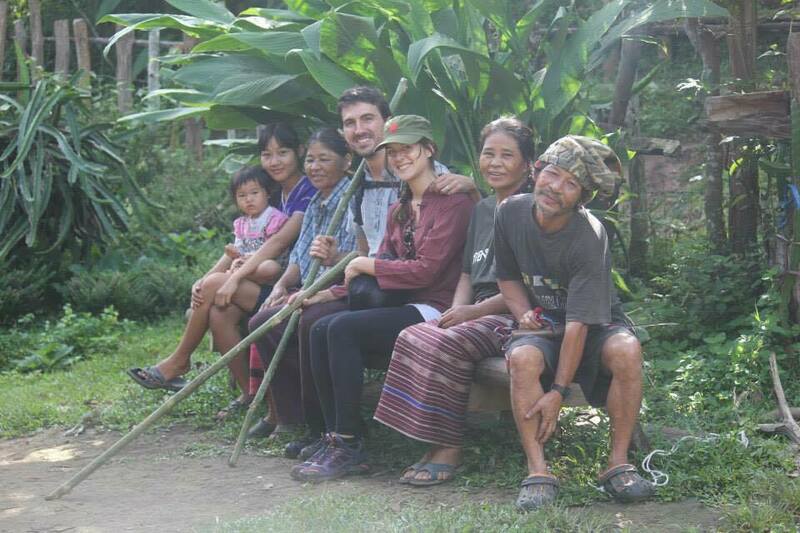 Experience with hill tribe white Karen and Lahu. Your guide will pick you up at your hotel by pick-up truck. We take a 45 minute drive to a local market (Mae Malai Market) north of Chiang Mai City. There, we buy some stuff for our 3 day trekking and take the opportunity to observe some interesting life styles of local people. Then we drive to Mok Fha Waterfall National Park where you can not only enjoy the view but also swim at this beautiful waterfall which is 50 meters high. After you have completed your swim, we drive to a local restaurant for lunch. After lunch, we drive to Huy Nam Dung National Park & Hot Spring where you can take a mineral bath. 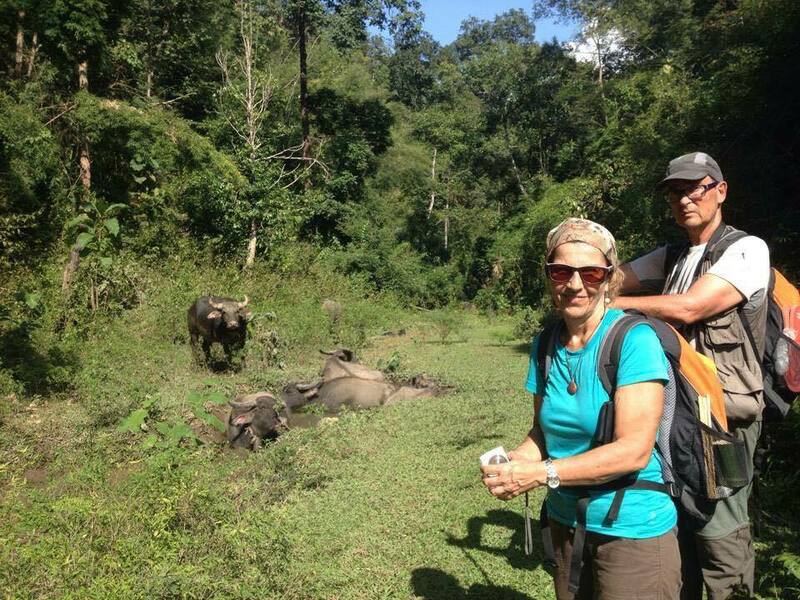 We then begin our 3 hour long trekking to the Karen Village where we stay overnight. Your guide has the privilege of preparing breakfast for you this morning. After breakfast, we visit a village and start trekking to the elephant camp where you have the opportunity to bathe and feed the elephants. After that, we have lunch. 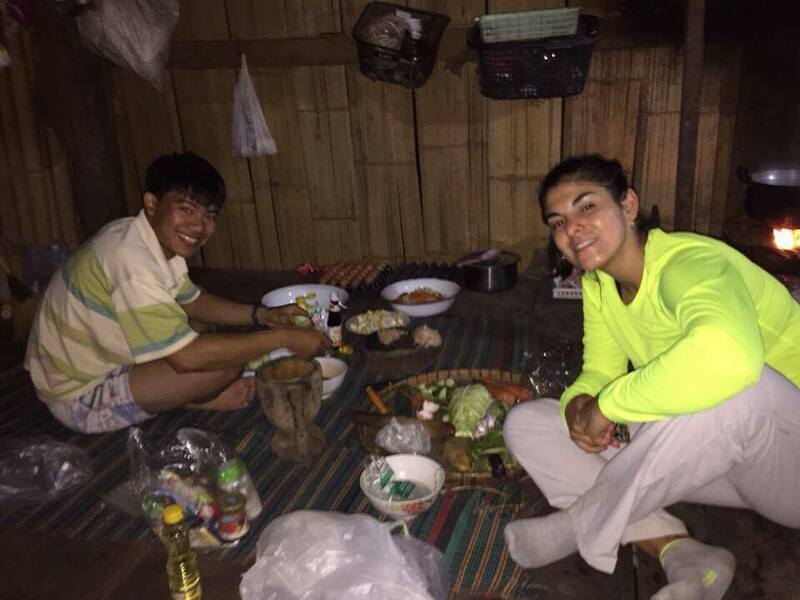 After lunch, we continue trekking to Phong Ngarn Village which is a Lahu (hill tribe) village where we stay overnight. When we arrive, you can go and see the village by yourselves and you can also enjoy swimming along Mae Thang River nearby. After breakfast, we go bamboo rafting along Mae Thang River down to Sob Kay Village. The trip lasts 2-3 hours depending on the season. Upon arrival, you can take a shower and have lunch. Then we return to Chiang Mai City where we will drop you at your hotel.